Ponheary Ly Foundation Canada | The PLFC is a registered Canadian charity dedicated to advancing education and relieving poverty in Cambodia. As a young Cambodian woman, Ponheary Ly survived the killing fields of the Khmer Rouge only to endure ensuing decades of occupation, civil war and poverty. Within the suffering she and her family experienced, she found a great compassion for the children of Cambodia — the forgotten ones, the disenfranchised ones, the ones who without help have little hope of escaping the cycle of poverty brought by decades of genocide and war. Ponheary is a Cambodian national who resides with her family in Siem Reap, a city in northwestern Cambodia, and home to the famous temples of Angkor Wat. She comes from a long line of educators. Her father, a teacher, was killed during the Cambodian genocide. Ponheary herself was attacked by the Khmer Rouge and left for dead. During the Vietnamese-installed regime, Ponheary became a teacher and, in secret, learned how to speak French and English. In 1998, when Cambodia once again opened up to Westerners, Ponheary became a much sought-after tour guide due to her language skills. During her rounds at the rural temples, and as tourism grew, she began seeing more and more children, working in the fields instead of going to school. Ponheary started a project to support the return of rural children to school and help them stay there. She now supports four schools in and around Siem Reap, helping thousands of children by providing supplies, uniforms, clean water, breakfast programs and basic medical care so that the children will be physically healthy enough to attend school. In 2010, Ponheary was awarded the CNN 2010 Heroes Award for her extraordinary work. 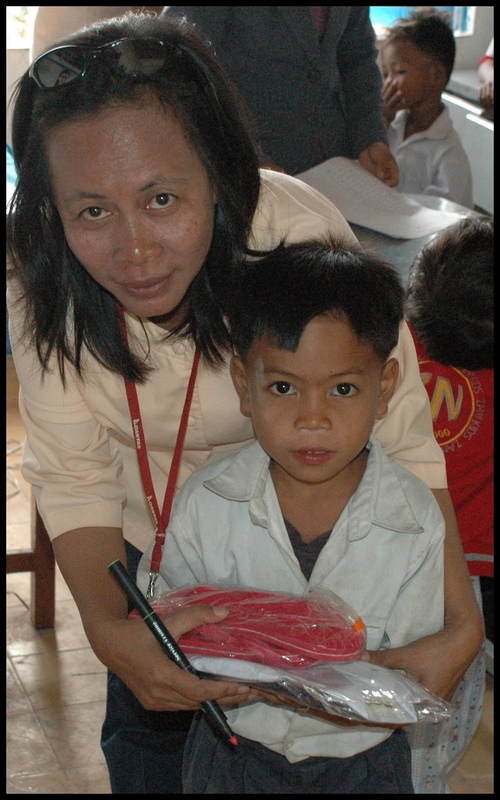 Ponheary has made it her life’s mission to locate and be of service to the children of the rural poor in the villages of Siem Reap Province. The Ponheary Ly Foundation Canada (PLFC) is dedicated to supporting her vision and her efforts.